NEWER TOWNHOME. ENERGY STAR rated! 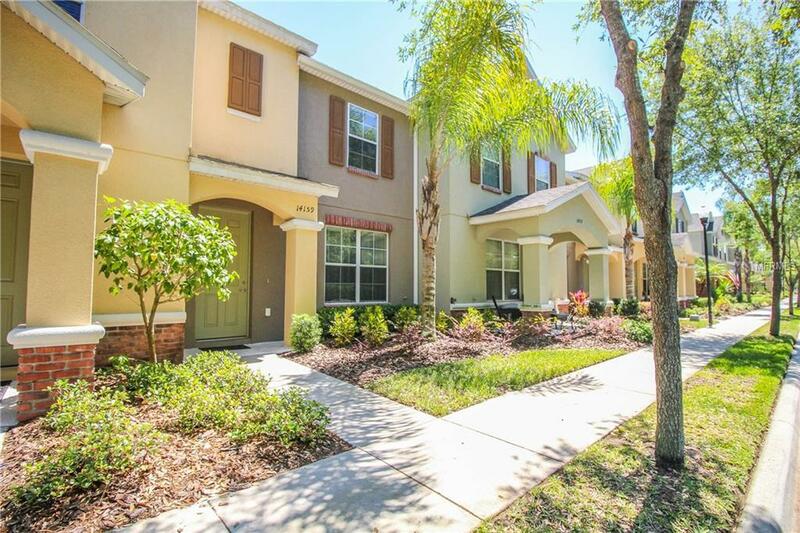 Hampton Lakes is an all town home community located in the desirable Westchase/Waterchase area. You'll enjoy city-style living in the suburbs, with a variety of restaurants and shops just steps away from your own front door. The community offers a beautiful swimming pool and cabana. In addition, the area boasts of a first-class school district with highly rated schools. This 2-bedroom, 2.5-bath has a 2-car, detached garage set back by a private courtyard featuring. Gourmet kitchen includes granite counters with open kitchen concept and stainless steel appliances (smooth-top range, micro/hood and dishwasher). The master bath features a large shower stall and spacious vanity. Second bedroom feels like a second master suite with a walk-in-closet and private bath with tub. FHA and VA welcome since it is a planned unit development. The low HOA fee of $230 covers the outside & ground maintanence, pool and most importantly, the roof. Minutes to Westchase, the Veterans Expressway, Tampa International Airport, and only a 30 minute drive to Clearwater Beach. A fantastic opportunity to own a great property in an exceptional location!